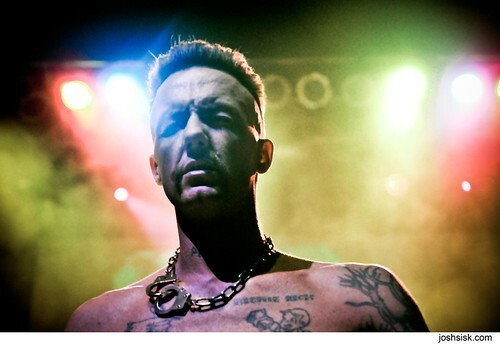 Die Antwoord & Rye Rye @ 9:30 Club. This show was fun. 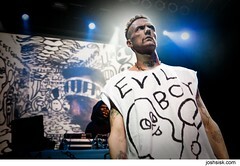 Die Antwoord, at the very least, can actually rap and perform live – something I wasn’t convinced of going in. Unfortunately, none of their other material is as fresh or good as their two singles… but that can be said for a lot of groups. They had a lot of energy, were stage-diving, spitting water on people, generally jumping around like crazy… it will be interesting to see if they can keep the momentum going or if this is it. Rye Rye opened, and did great – though the stage was crazy dark for her set! I was suprised but I guess they decided to keep it low-key. It’s great to see the arc of her career, she is still going strong and I imagine this time next year will be even bigger. ← Roger Waters: the Wall in DC.